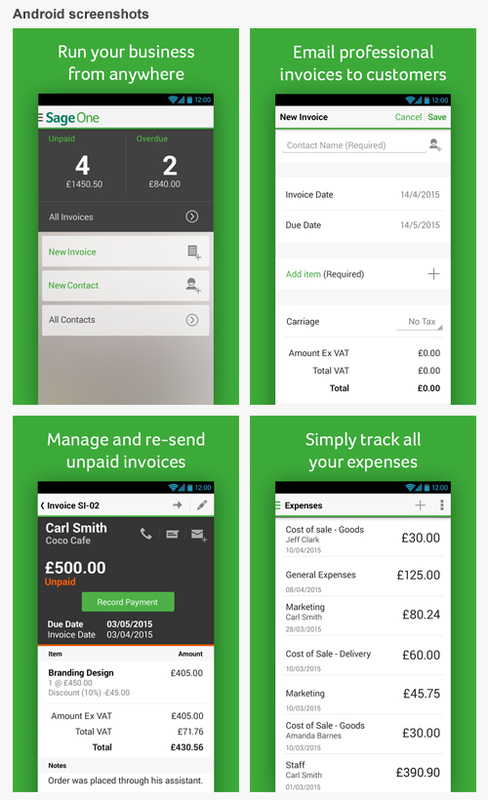 For the last 6 months or so, Sage One Accounts customers using an Apple iOS device have been able to manage their invoices and expenses on the go using our free Sage One mobile app. From today, we’re delighted to announce that Android users can do the same. 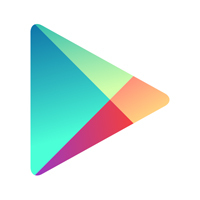 The Sage One mobile app is now available on the Google Play store here! Not content with releasing the app on a totally new platform, we’ve also added pin code access to both our iOS and Android apps. In addition, we’ve opened it up so that anyone can start using the Sage One mobile app to raise and email invoices for free, without the need to pay for a Sage One Accounts subscription! This is a significant move as we’re now catering for self-employed people who rarely, if ever, use a PC or laptop and who don’t yet need a full accounting solution! To download the Android app, go here or click on the screenshots below. To download the Sage One mobile app for iPhone, go here. Now we’ve established the Sage One mobile app on the two predominant platforms, our next step is to improve, refine and extend both apps so please send through your feedback and wish list. To help us do that, please leave a short review on the relevant app store as you can genuinely influence and steer what is an exciting new phase of Sage One. Thanks this is great post.. useful information.. Thanks..
Do any of the mobile apps have a service to allow customers to give their signature on the screen? Our company requires customers to sign our paperwork once the job has been completed.